Dennis Allen fired as Head Coach..
After a disastrous 0-4 start to the season, the Oakland Raiders have announced the firing of Dennis Allen as head coach. Allen leaves Oakland after 3 seasons, going 4 -12 the past 2 years and starting 0-4 this year. The decision was announced soon after the Raiders returned from London, where they lost their 10th straight game dating to last season, 34-14 to the Miami Dolphins on Sunday. The firing was first reported by Fox Sports. Allen was the first head coach hired by Oakland after Al Davis’ death on October 2011. His 8-28 record is the worst for the franchise since before Davis arrived in 1963. His contract was set to run through next season. An announcement on the interim coach will come Tuesday, with offensive line coach Tony Sparano and offensive coordinator Greg Olson the most likely options. Allen is the third coach fired during the season by Oakland since Davis arrived. Mike Shanahan was fired after four games in 1989 and Lane Kiffin was let go four games into the 2008 season. 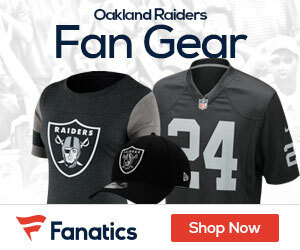 The Raiders have had 11 straight seasons without a winning record or a playoff berth. Oakland will now have its eighth coach since 2003. Allen and general manager Reggie McKenzie were hired after the team finished 8-8 under coach Hue Jackson in 2011, falling one game short of a playoff bid. With Allen out, the pressure now turns to McKenzie, who has two seasons left on his contract. McKenzie’s first two draft classes have had almost no impact, with the biggest disappointment being 2013 first-round cornerback DJ Hayden, who has struggled with injuries. Hayden was exposed in eight games as a rookie and hasn’t played at all this season because of a foot injury.